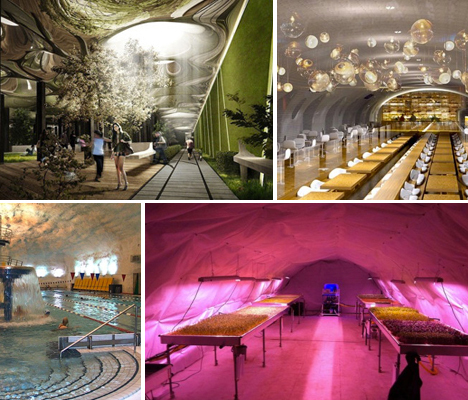 Far below the bustling cities of London, Paris, Montreal, New York and Helsinki are subterranean spaces ranging from dark, dank and dangerous storm drain tunnels to entire complexes complete with shopping malls and swimming pools. Some are the result of cities deciding to build down rather than out, while others remain populated only by fringe communities as officials ponder transforming them for legal public use. 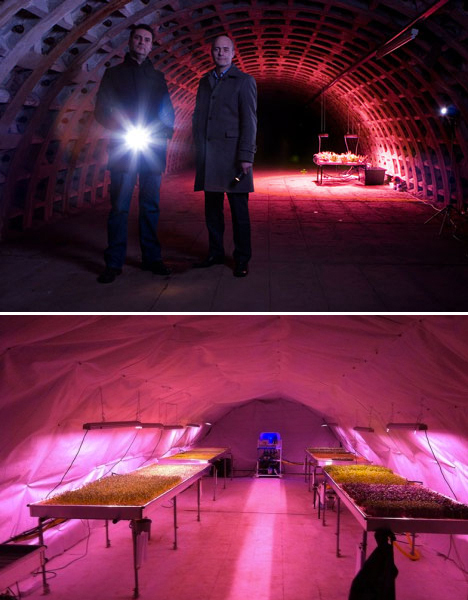 Located 100 feet below the London Underground, in a deep subterranean level of World War II bomb shelters, is a sight you’d never expect to see: ‘Growing Underground,’ an experimental farm producing hydroponic crops over 2.5 acres of the abandoned passages. Elevated, rodent-proof tables placed beneath growing lights coax garlic chives, radishes, watercress, coriander, thai basil and other edibles. Growing in this underground space means 70% less water is required than above-ground farming, and there’s also no need for pesticides. The operation provides hyper-local micro greens to restaurants, wholesalers and retailers within the city, and the company plans to expand into tomatoes and mushrooms. 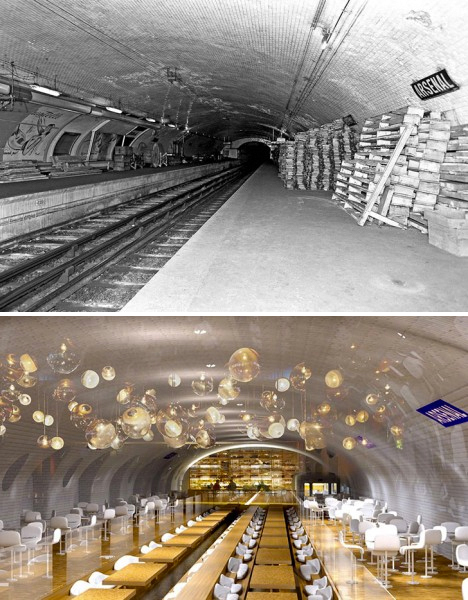 What could the abandoned subway stations beneath Paris potentially hold? One city mayoral candidate is working with architects to examine new purposes for these vast, neglected spaces, including restaurants, theaters, night clubs, parks and swimming pools. They’re large, strong, open spaces with great acoustics, already located near major urban hubs, ready to be reclaimed by the public. Eight stops in total have been deemed suitable for the project, some of which have been boarded up for nearly a century. 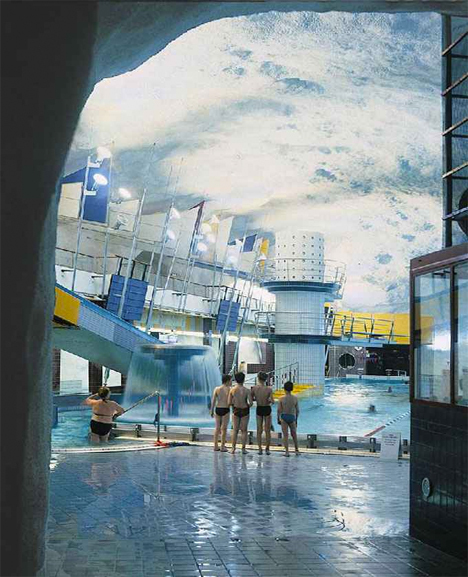 Finland’s capital city has decided to fight sprawl by building down rather than out, building an underground city containing a swimming pool, shopping district, church, hockey rink, data center and ‘parking caverns.’ For Helsinki, this makes perfect sense (especially for the data center), as the city is built on rock that’s naturally insulating. Building down avoids the need for ugly parking decks, and also provides storage for things like coal. Officials plan to continue expanding these spaces including another 200 underground structures, new metro lines and a road tunnel project that will connect existing access roads leading into the city. 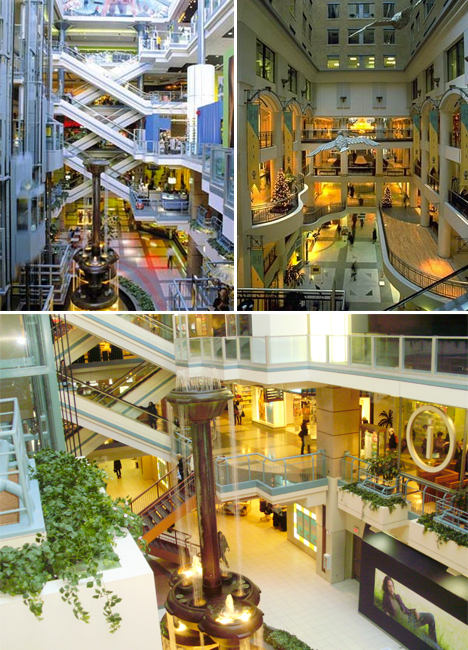 Montreal’s Underground City, officially known as RÉSO, is a series of interconnected spaces in and beneath the downtown area. 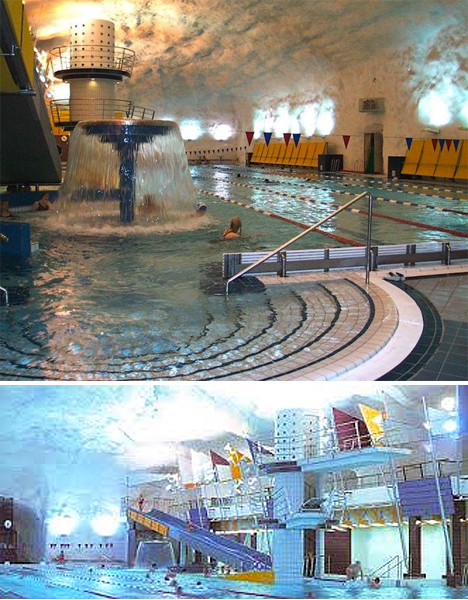 It’s one of the largest underground complexes in the world with over 20 miles of tunnels spread over a 4.6 square mile area, containing shopping malls, hotels, condos, banks, offices, apartments, museums, universities, seven metro stations, two commuter train stations, a regional bus terminal, an amphitheater and an arena. 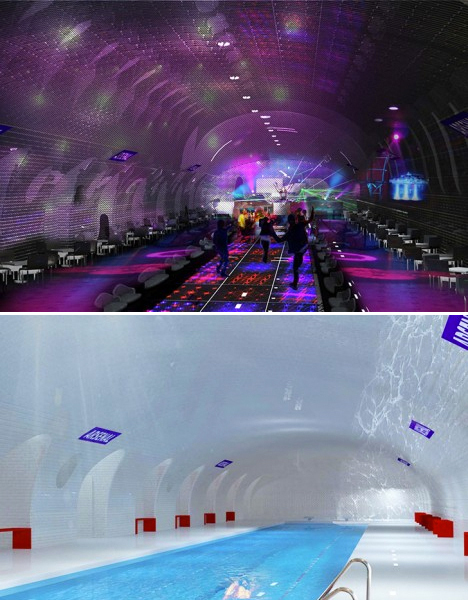 More than 120 access points connect above-ground Montreal to this underground city. The first link began in 1962 with the construction of the Place Ville-Marie office tower and underground shopping mall, built to cover railway tracks that were considered an eyesore. The fact that the complex links so many transit stations enables Canadians and visitors to avoid nasty weather when traveling from one area of the city to the next.